TeslaCEO Elon Musk told The New York Times on Thursday that he would give up his job to anyone who could do it better. Running Tesla has taken an emotional toll on Elon Musk, the CEO told The New York Times on Thursday, and anyone who can do the job better should take over immediately. Musk isn’t planning to give up his job anytime soon, he clarified, but was candid about his struggles in the past year to get Model 3 manufacturing on track and bring Tesla to profitability. Those all came to a head last week when Musk announced that he was considering taking Tesla private at $US420 per share. That tweet – and subsequent blog post that sought to clarify the cryptic announcement – sparked scrutiny from investors and even a reported subpoena from the country’s top stock market regulator, the Securities and Exchange Commission. But the target price wasn’t a weed joke, Musk assured in the interview. $US419 was a nice, round 20% premium over the stock’s recent trading price, but the proposal “seemed like better karma at $US420 than at $US419,” Musk said. 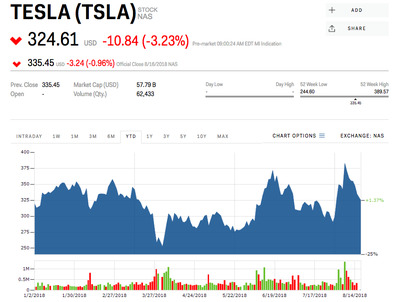 Shares of Tesla initially skyrocketed more than 10% after the announcement of plans to go private, reaching a new record of $US389, but have since given up all of their gains in the face of uncertainty that funding has actually been “secured” as Musk promised. 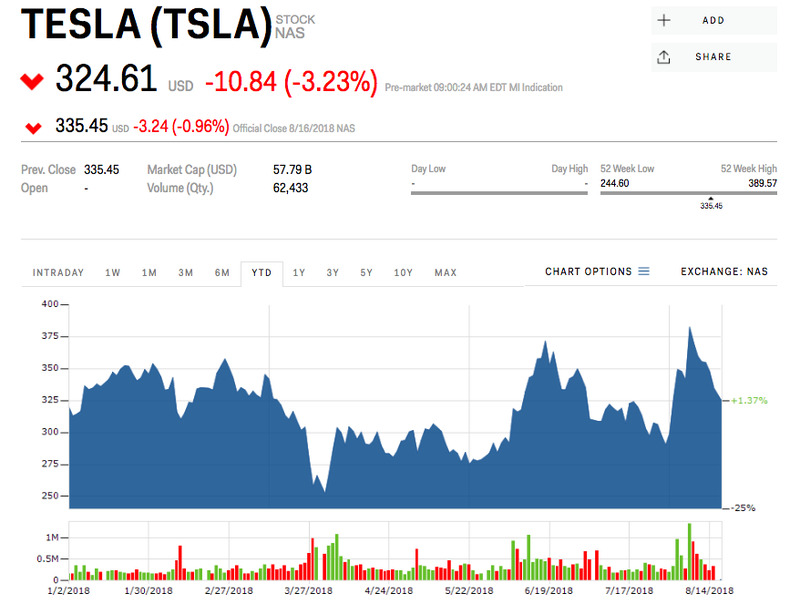 Tesla’s stock price sank about 3.4% in early trading Friday to $US324 per share – a 30% discount to the $US420 Musk has targeted.